Having a world-class Sound studio in the midst of a hilly and scenic Kogi state was the requirement of CCNL, for whom we had set up earlier their complete TV Studio facility in the same state almost 2 years back. 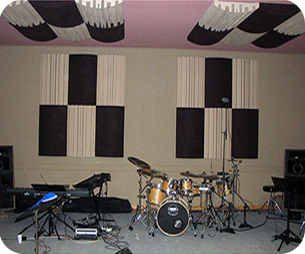 The Sound studio has a spacious studio for a wide range of musical instruments for a band, two audio dubbing booths for voice recording and a sound control room housing all the system equipments. The system comprised of a Tascam DM-3200, 32 channel Digital Audio Mixer for main mix with an array of audio products from Tascam, Genelec, Sonifex, DBX and Behringer. For microphones a variety of mics from Sennheiser, Rode , etc were selected for specific applications for Voice, instrument, drums, cymbals recording. Audio workstation with Cubase 5 and Nuendo 4.2 that can work together with Tascam DM-3200 was configured. Complementing these versatile equipments was the aesthetically pleasing Broadcast type furniture that gave the final facelift for this project. 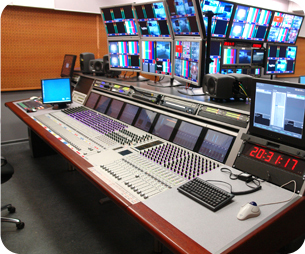 NTA, HQ in Abuja acquired a 2 Camera Virtual Studio system for their NEWS Studio. Their choice of Monarch VOA Power was quite straight forward – Simple and user friendly to operate the system, unlike other expensive and complicated system available in the market. 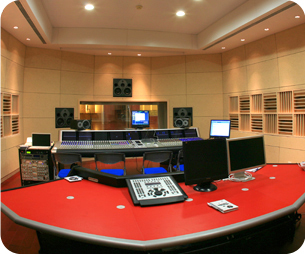 This conviction was subsequent to using our demo system in their studio for few weeks. 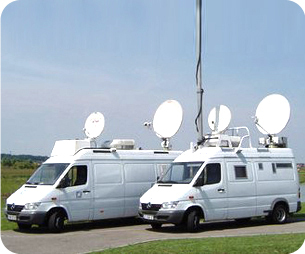 Having a cost-effective TV Studio solution was the requirement of CCNL, for whom we made a real cost-effective design. 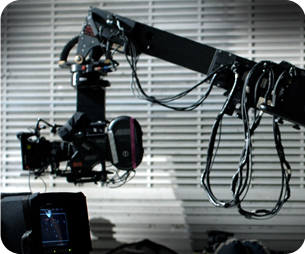 The system comprised of few SONY HDV camcorders used in a multi-camera setup, Datavideo Switcher, Marshall LCD Monitors, Videotek waveform monitor, Sennheiser wireless and wired mics, Q-Gear Teleprompting system. About 6 months after the installation, there also upgraded their system and had acquired FOR-A Multiviewer, SONY big display, Kramer AV Router, etc for the MCR. As part of equipments upgrading and to equip themselves with the latest equipments, AIT procured from us few units of SONY XDCAM Camcorders, PDW-F330, HDV Camcorders HVR-Z1E, SONY HVR-M15 VTRs, Datavideo Mobile Studios, MS-800, FOR-A HD/SD Switchers HVS-5000HD and other associated equipments. HITV Limited provides a platform for entertainment, lifestyle music, news and sports rich in quality and local programs. They have over 20 channels on its platform, using Direct to Home (DTH) satellite technology. 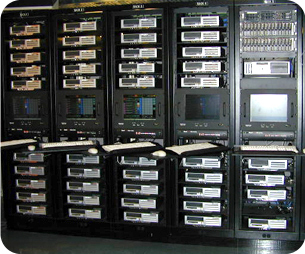 The complete Broadcast Center, Studio facility was setup direct by our business partner SONY. As the size of the project was huge, SONY had to involve direct in the system design and integration of the broadcast facility. As part of their expansion, Kontakt has been instrumental in upgrading their facilities and supplying equipments in the last few years and providing Service support.